In Java 9, control panel was rewritten as a JavaFX application and the storage location has changed. To start control panel, enter jcontrol to the terminal (cmd for windows) and it will open a window that looks below. This tab shows version details and security status of JRE Java runtime (JRE) that we are running. This tab shows when the check for updates is done and enables us to change the settings for the update process. This tab shows information about the JREs that are installed on our system and enables us to choose the JREs that we want to use to run applications that are embedded in a web page or launched from a browser. This tab shows information about permissions for Java applications and how the applications connect to the network. It also allows us to manage temporary files. 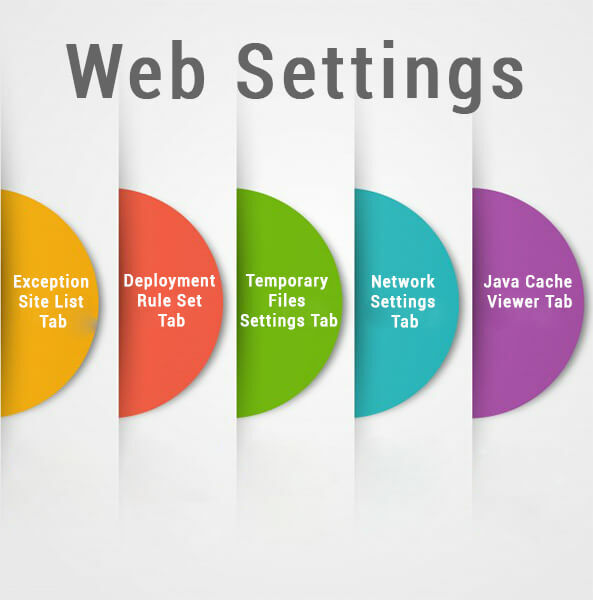 The Web Settings tab further contains the following tabs. It shows general security settings and information about certificates used to sign RIAs. The Security tab further contains the following tabs. It allows us to set options for available JRE. JRE has following options.